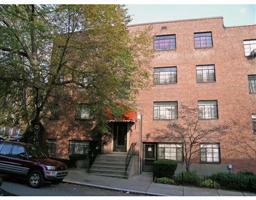 Rarely available one bedroom in S & S Cleveland Circle complex. Second floor condo offers: delightful open floor plan, queen size bedroom, renovated kitchen, separate dining area, plentiful closets & extra storage, hardwood floors throughout, 3 yrs old roof, new windows in Spring 2008 prepaid by seller. Pet friendly building. Near 3 MBTA lines. Don't miss this opportunity! Below Assessed Value - Priced to sell.